In May 2010 the first students of the Salem School of Nursing started their training to become certificate comprehensive nurses. 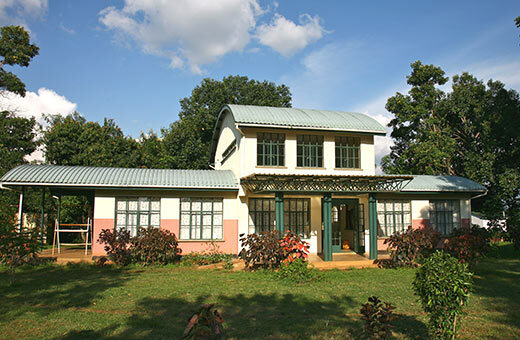 The Salem School of Nursing is a private and non – profit training institution which is developed and underpinned by the philosophy of SALEM Uganda. Uganda is suffering from a shortage of high qualified health workers and nurses. Especially in the Eastern Region where SALEM Uganda is situated. 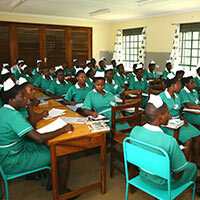 The training lasts 2 ½ years where they qualify to certificate level in nursing, community health and midwifery. This qualification enables them to work in hospitals and small local health centres. As part of their training the nurses not only work in the regional hospital of Mbale but also within the health program of SALEM. This allows for experience of both health centre and community outreach. This enables them to put their theoretical knowledge into practice and helps SALEM to have a greater impact in the community. The Nursing School is an investment into the future of Uganda which will have a great and long lasting effect on the health situation in the country. The aim of the SALEM School of Nursing is to produce competent, caring and compassionate nurses to take on the task of improving health in Uganda.